If office renovation is on your mind, chances are that you already have a lot to worry about. Right from the office furniture to the wall colors to the flooring, everything needs to be right. The interiors need to be perfect and conducive for official work, while the flooring should complement the footfall in the premises. In the beginning, these might seem to be very trivial issues, but they have a long lasting impact on the quality and type of flooring you use in your office. So here’s a list of the flooring types which are ideal for your office. Carpeted flooring is a good addition to your office interiors. Since most offices need insulation from outside noises, carpeted flooring can go a long way in keeping unwanted noises out. If you are someone who spends considerable amount of time walking barefoot in the office, then carpeted flooring is the choice to make. You can mix and choose between different colors, shades and styles, depending on the wall colors and the office furniture. Easy to clean, available in different shades and long on durability, ceramic tiles are one of the best options when it comes to office flooring. Ideal for high traffic areas, ceramic tiles can be your best friend when you want to go for something which is easy on the pocket and on the cleaning perspective. There are different types of hardwood flooring which are ideal for office flooring. Since there are a lot of types of hardwood flooring options to choose from, one can choose between bamboos, solid oak etc. It’s a classic option which adds a subtle elegance to the flooring, making it an instant hit for areas which require stability and durability. 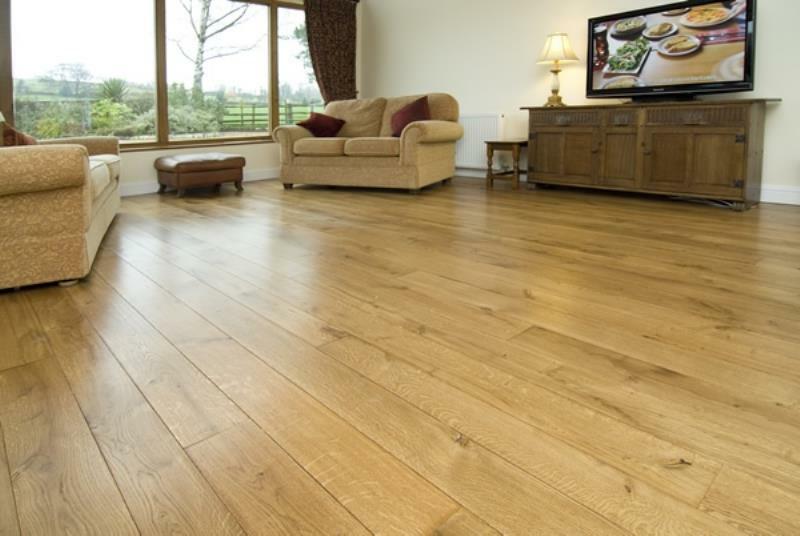 If you don’t want to go for solid oak flooring, but are keen on the lookalike version, then laminated flooring is the answer you seek. Laminated flooring is an alternate option, which is available at a much lower price than solid oak flooring options. It’s created in layers, and can mimic any kind of solid wooden flooring designs. Due to its layered composition, it is moisture resistant, which makes it ideal for tough situations. Nature’s very own stone can be used as a flooring option within offices. Even though it might not be ideal for an official environment, stone is gaining rapid popularity as a commercial flooring option. It adds a distinctive look to the décor, since it is scratch resistant and does not need regular maintenance, making it an instant favorite of office decorators. Rubber is the perfect option for high traffic areas, simply because they offer versatility, design and style to the users. Rubber flooring is ideal when it comes to durability, heat and water resistance. Rubber is resistant to scratches and is comfortable for daily wear and tear. Available in a series of designs, there are a lot of options to choose from in the rubber flooring categories. Depending on the color, the footfall and the durability, you can choose the type which you deem best and take it on from there.